In this video, author Tobias Krause describes the process by which he and his colleagues created stable hybrid clusters of proteins and nanoparticles. They found citrate-stabilized gold nanoparticles agglomerate in the presence of hemoglobin at acidic pH. But the extent of agglomeration strongly depends on the concentration ratio. Krause explains that he expected either full agglomeration or no agglomeration but instead found that certain concentrations resulted in a partial agglomeration process that quickly stopped, producing colloid containing both proteins and nanoparticles. This development may have applications in the medical word, where being able to control the size of particles can be critical. It may also have environmental implications as particles like these would be less likely to settle into riverbeds. 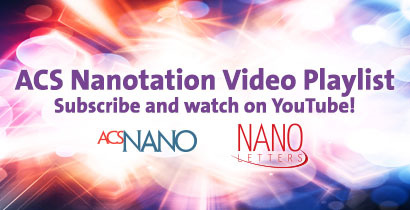 Read the research this video is based on in ACS Nano.